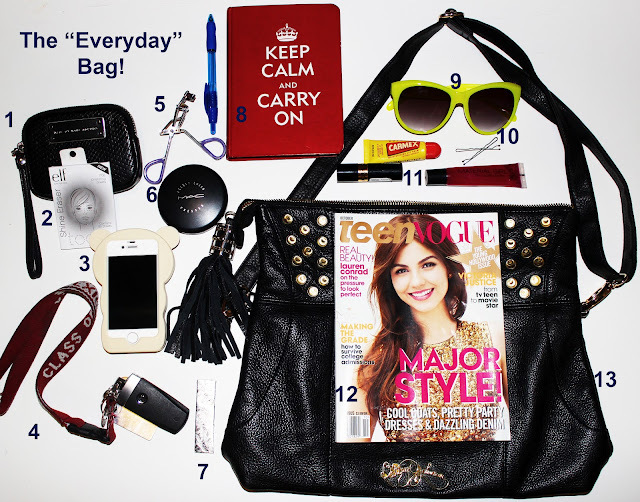 PLATFORMS FOR BREAKFAST | by Esmirna Tapia: What's in my bag(s)? So I woke up this morning to an e-mail from the marketing coordinator at Iconix Brand Group, which is the company that owns brands such as Material Girl and Badgley Mischka. I was asked to be a guest blogger and told to choose from different topics such as dress inspirations (from Madonna and Lola of course), Halloween, or DIY with an MG product. 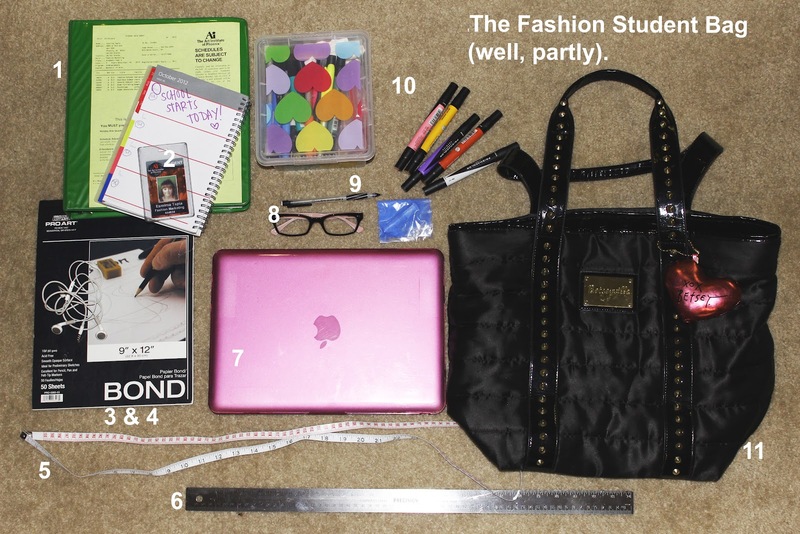 I however, chose to do a "what's in your bag" piece because I've personally have always liked it when other fashion bloggers write about their bags. I am not sure when it will be on the blog, but when it hits I will be sure to let you guys know about it! There is a sneak peek about it below! Anyway, tonight was the Lulus.com event, and some really cool things happened there, but I'm saving that for the next post tomorrow! Me levanté esta mañana a un e-mail de la coordinadora de mercadeo de Iconix Brand Group, que es la empresa propietaria de marcas como Material Girl y Badgley Mischka. Me pidieron que fuera un blogger invitada y me dieron de escoger entre diferentes temas, tales como fuentes de inspiración de vestir (de Madonna y Lola, por supuesto), Halloween, o que canciones me gustan en el momento. Yo escogi hacer el tema de "qué hay en tu bolsa" porque yo personalmente me gusta cuando otros bloggers de moda escriben sobre este tema. No estoy seguro de cuándo va a estar en el blog, pero cuando leste me asegurare de que ustedes saben acerca de ello!